Buy Ardell brow products online at Boozyshop, the makeup webshop that makes online cosmetics shopping fun! In addition to being able to create amazing lashes with Ardell Lashes, the brand also offers various possibilities to make your eyebrows completely on fleek. Through such eyebrow makeup you can give your eyes exactly the look that you want. Brow pomade, an accelator, shaper or pencil? Ardell Lashes has it all! Do you have a question, do you doubt or do you want to turn to professional advice? Please feel free to contact the Boozyshop live chat. We will answer all your questions and provide you with appropriate advice. At Boozyshop you are assured that you find exactly what you are looking for and can create the look you have in mind. Take a quick look at the range of eyebrows from Ardell Lashes! Pull out any excess hairs (and possibly above) the eyebrows. For example, use the Ardell Beautiful Brows Brow Precision Shaper to perfectly shape your eyebrows. Use the razor blade to shape your eyebrows with ultimate precision. 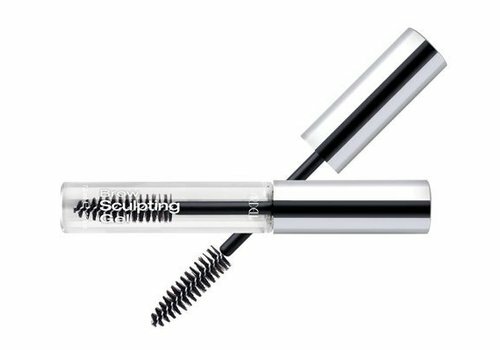 Use a brow pomade or brow pencil to scoop, fill and secure your eyebrows. Use the spoolie and comb the hairs in an upward motion. Put lines at the top and bottom of your eyebrows with a small amount of product. Fill in your eyebrows lightly with the product within the lines you have put. Use the spoolie to blend and create a solid color. Did you take off your eyebrows makeup in the evening? Then use the Ardell Accelerator. This is a concentrated serum of protein complexes that immediately acts to strengthen hair of eyebrows and eyelashes so that it looks healthier. The added conditioners feed and protect against future damage. Let the product work all night. When you take a look in the range of eyebrows makeup, you will see that we offer quality products at a great price. At Boozyshop you can count on products with an excellent quality that you can get budget proof at home. Have we already convinced you? There are many more benefits when you order from Boozyshop here. Is the order amount above 30 euros? Then we have good news! You will receive an awesome gift with the order. Wait no longer and order today your eyebrows make up here in #MakeupHeaven!